Just Mobile AluCharge is the world's slimmest USB charger. 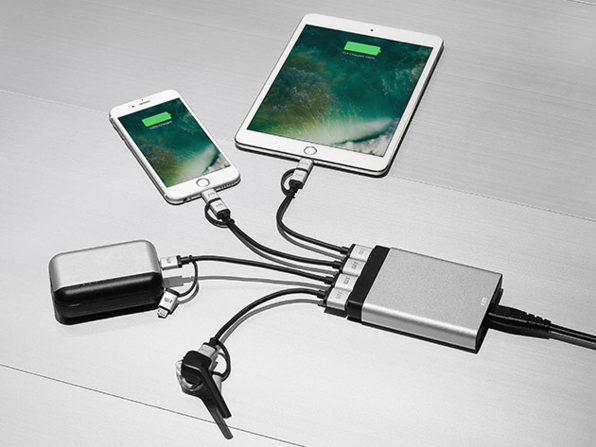 At less than 3/4 of an inch thick, the AluCharge is barely taller than a USB port, yet it can charge up to four devices simultaneously from just one power supply. And thanks to intelligent charging, it will always deliver exactly the right amount of power to iOS and Android devices. It will declutter any desk and slip into the slimmest pocket when you need to take your power on the go, and is on sale for $39.95.